My good friend Donna gave me this recipe and its one of the best breads I’ve tried! This time I decided to add the raisin cinnamon swirl and it went perfectly together, no added sugar needed. I do think I should have been a little more patient on the second rise, and maybe should not have used a larger pan, so the bread would have had more height. I also read that “bark” spices like cinnamon can inhibit the yeast. 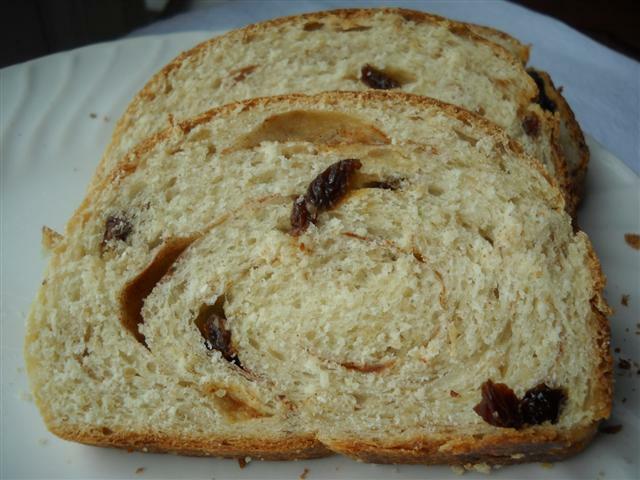 With or without the raisin cinnamon swirl, this bread is really tasty. 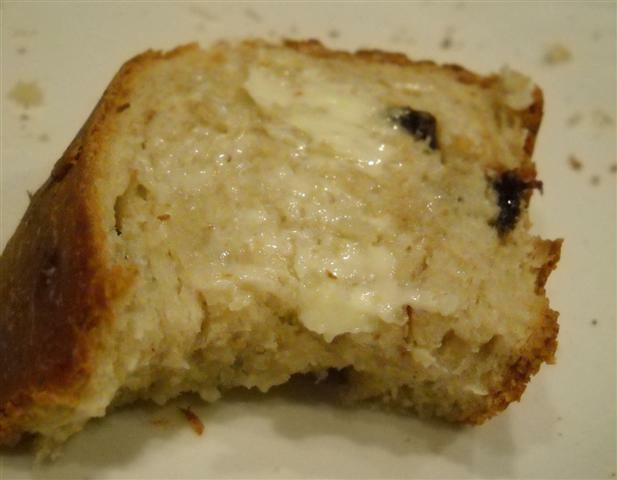 Soft and slightly sweet, great reheated, and fun to know you can make bread this easily! Combine oats with the boiling water and let it sit 5 mins. Add yeast to the warm water, and let it activate, also 5 minutes or so. To the oats (you can do this in the bowl you will mix the dough in itself) add honey and butter and salt. Then pour in the yeast mixture. Then add 3 c of flour and blend it in. Knead in an additional 1/2-1 c of flour as needed to make a soft dough. Knead until smooth for 6-8 minutes. Cover and let it rest 10 minutes (I did a traditional “double rise”(let the dough rise to double its size in about 1-2 hours) because I was going out, so if you let it rise longer thats also fine. She says the short rest works for her too). Grease a 9×5 bread pan. Roll the dough out to a 8×15 inch rectangle. (This is when I added the swirl. 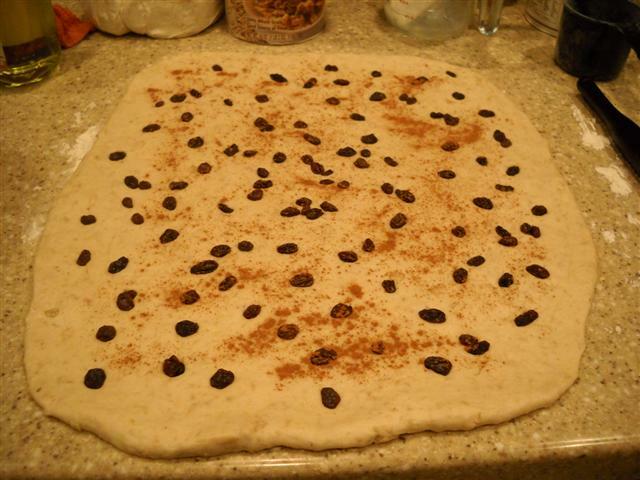 I just sprinkled raisins on top of the dough and pressed them in firmly. Then I sprinkled some cinnamon powder. Thats it!) Roll it up from the 8 inch side jellyroll style. Pinch the ends and tuck them under the bread. Place it seam side down in the loaf pan. Cover with a damp cloth and let it rise to double its size (at least 45 mins). Preheat oven to 375. Brush a tiny bit of milk over the top and sprinkle on the oats – optional but it will look pretty. I forgot to do this. 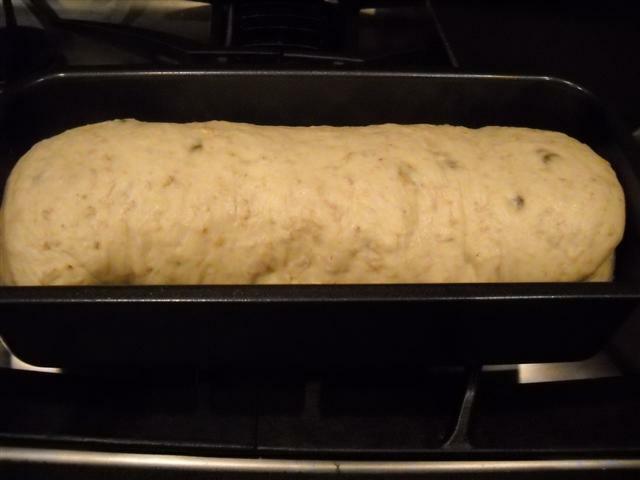 Bake for around 40 minutes, until the top is golden brown and the bread sounds hollow when tapped on the bottom. Remove from the pan and place on a cooling rack. Try to resist the urge to cut into it while hot, hehe. You can reheat this in the microwave or toast it and have with butter, that’s how I like it. Also submitting this to Yeastspotting.